A journal has retracted a 2014 paper after a university investigation found that the first author only reported certain data points that supported the paper’s conclusion. Based on a whistleblower’s tip, the University of Florida investigated work by Huabei Jiang, a professor of biomedical engineering, and Lei Yao, a former postdoc and scientist in Jiang’s lab, for research misconduct. According to documents obtained by Retraction Watch through a public records request, in 2015 Yao confessed to selectively choosing data in an email to the whistleblower. Those data were included in a paper by Yao and Jiang, “Finite-element-based photoacoustic imaging of absolute temperature in tissue,” originally published Sept. 10, 2014 in Optics Letters. The paper described an algorithm for analyzing data obtained through a certain type of biomedical imaging. Yao, the first author, confessed to the journal in July 2016 that his data selection methods “might not be consistent” with OSA ethical guidelines and UF’s investigation committee declared a month later that Yao — but not Jiang — had committed research misconduct. But the retraction wasn’t finalized until June, as the journal’s’ publisher, the Optical Society of America (OSA), had a specific requirement: a letter of support for the retraction from UF. we do make an exception when unethical behavior occurs during the research or writing phase of the manuscript. Campillo informed Yao that OSA would need the support letter from UF. A week later, UF research integrity officer and assistant VP for research Irene Cooke sent a letter of support saying Yao committed misconduct and that UF supported the retraction request. The journal retracted the paper a month later, on June 16. The article has been retracted at the request of the authors. This manuscript should not have been submitted for publication because the data was inappropriately and selectively reported, which is against OSA Ethical Guidelines. The investigation by the Office of Research, University of Florida, confirmed research misconduct due to data falsification by the first author, Lei Yao, and that Dr. Yao’s actions were a significant departure from the accepted scientific practices. 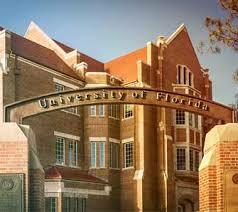 Exactly when UF received the whistleblower’s tip and when it launched a research misconduct inquiry remains unclear. The whistleblower first raised concerns directly to Yao and Jiang by email in January 2015, but none of the documents we received indicate when UF received the research misconduct complaint. The inquiry committee, which oversees the first stage of an institutional response to research misconduct allegations, met with the complainant on Jan. 27, 2016 and conducted a “detailed discussion” with Yao on Feb. 5, 2016. The inquiry report, issued later that month, concluded that the matter warranted a full-fledged investigation. …overall data was very noisy and random, and data points appeared to have been “selected” to fit the known algorithm. It was also clear that Dr. Yao rejected data based on trends that did not fit the expected results. not aware of or involved closely with this experiment or the analysis, nor did he closely review the paper to ensure that the data supported the paper’s conclusions. the erratum does not adequately address the misconduct committed by Dr. Yao. The investigation report said the research was funded by the J. Crayton Pruitt Family Endowment. UF’s named its department of biomedical engineering in honor of Pruitt in 2006 after he donated $10 million to support it. The documents said Yao left UF in 2015 and is now working in China. UF’s biomedical engineering department said that Jiang no longer works there; he appears to work at the University of South Florida. The report did not discuss any other papers published by either Jiang or Yao. To view all documents we obtained, follow this link. If the head of the lab was “not aware of or involved closely with this experiment or the analysis, nor did he closely review the paper to ensure that the data supported the paper’s conclusions.” , then WHY was his name on the paper?! Where is the line between ‘sloppy’ and ‘misconduct’? All authors are responsible for what is published under their names. If you think about it from a practical standpoint, it is virtually impossible for everyone involved in a project to know all details about all aspects of the work. It is an ideal to strive for, but impossible to reach, because people don’t have that kind of time, energy or mental resources. So if a slip-up (even an innocuous one, let’s say a coding bug) occurs by one person, it is possible it slips through the notice of everyone else as well. Even more so if the person slipping up is smart enough to make it seem like nothing shady is going on when presenting the results or when exchanging drafts of the manuscript. There is no obvious one-rule-fits-all manual for what the “correct” sanity checks should be across disciplines, esp. when you’re exploring uncharted territory as one does in science. Everytime a retraction like this happens, people’s knee jerk reaction seems to be to blame all authors, including and especially the senior author. Sometimes the practical aspects of project management in science may make it seem like things are sloppy, when it is actually just the way it is and will continue to be, until we cognitively enhance ourselves to have infinite capabilities and infinite time. If the fellow couldn’t even take the time to carefully read the manuscript, he shouldn’t be on the paper, no matter how the work in the group is organized and who is the big cheese. There is such a thing as “too good to be true”. The Optical Society of America. Five dollars per typeset page for copy editing, BTW. Smilingbuddha, presumably the grant award conditions the senior authors are contracted to state they are responsible for all data outputs, which require data inspection and due diligence. If such grant awardees are not prepared to uphold the grant conditions perhaps they should not accept the grants. Then the grant award conditions should be taken with a pinch of salt, because those conditions are impossible to satisfy to the tee, as I laid out in my comment above. There’s a lot of mental gymnastics and deep data diving that goes into a lot of science which is just impossible for all parties involved to follow, again, until a brain-brain communication device (zero packet loss compared to lossy language) is invented and routinely used to instantaneously transfer all information from one person to another. As I suspect, most scientists know that due diligence is far more nuanced than the term suggests (what is due? what is perfect diligence? ), and this includes those in charge of the funding agencies. I think it is important to understand if this is an isolated incident in the lab or person. Independently determine if there is a lab systemic problem. A “QA” approach is needed for research labs in general with root cause analysis and corrective/preventative action. Next Next post: Caught Our Notice: Is “miscommunication of the rejection” the new euphemism for “paper accepted”?